- The whole pencil is made of colour, no wooden case or label. - Non greasy. Will not stain on hands and is easy to draw. - Perfect size-designed to fit children’s hands. 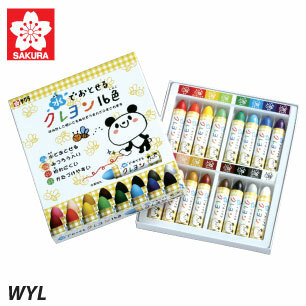 - Comes with inner tray to keep colours tidy + easy to retreive and place back.